We are getting oh, so close to the end of the school year. It's a busy time. We've been here, there, and everywhere so I've got a smattering of recipes from a few different places. I went to an end-of-the-year school party hosted by one of our teacher's beautiful houses. She had a gorgeous backyard with a big open space where we could all gather. A small stream trickled through a maze of rocks giving the backyard a great zen sound. Groovy Girl would have loved the large trampoline set up in the corner of the spacious green space. Inside her sliding glass patio doors we had tables of food to choose from with every kind of dip and desserts galore. I generally only eat meat at my own house and a few select restaurants (Go local!) so it makes it kind of easy to bypass certain meat-laden dishes and focus on veggies and desserts (my downfall). One of the salads, created by a kindergarten teacher, was amazing. 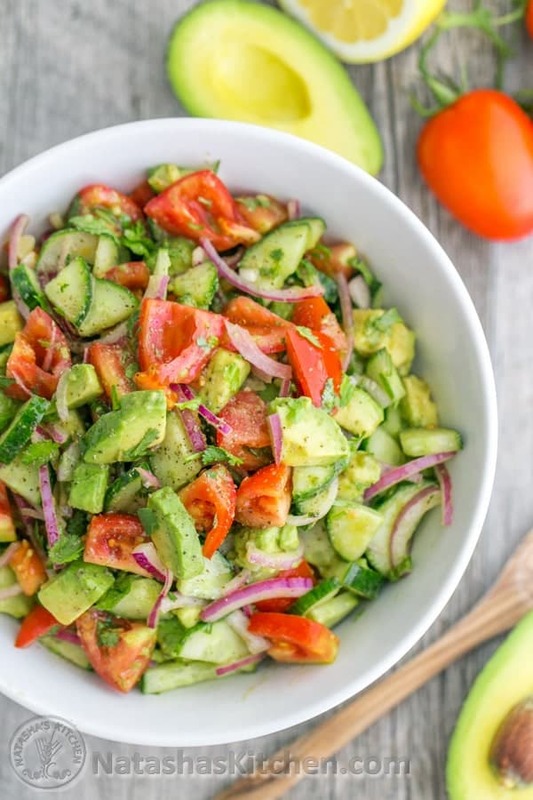 It's a perfect summer salad made with cucumbers, red onion, tomatoes, cilantro, avocado, and a squeeze of lemon. The flavor combination was incredible. I looked it up the next day and am sharing it here with you. I have not made it yet but plan to for an upcoming huge group picnic. I also made these brownies for two events; my 6th grade book club party AND a party for a retiring teacher-librarian. They were SO good and easy. So good you wouldn't think they were so easy. I made them before school and frosted them at school. 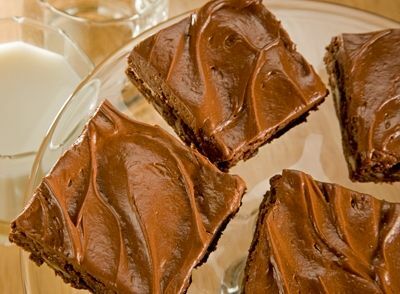 I'll keep this recipe handy for the next bake sale, picnic party, or kid-event. They are in no way organic or healthy but my intended eaters were 6th graders and I wanted something they would love for our last party together. We were out of town for an overnight in Rochester, MN for the Med-City Marathon and we ate at two incredible places. Right downtown we tried Victoria's and it was a wonderful experience. I had a martini with blue cheese olives and the walleye with vegetables and rice. The flavors were perfect all mixed together and the vegetables were slightly crisp-just how I like them. It was such a big portion I had to share a lot with my husband after he finished his veggie pasta. 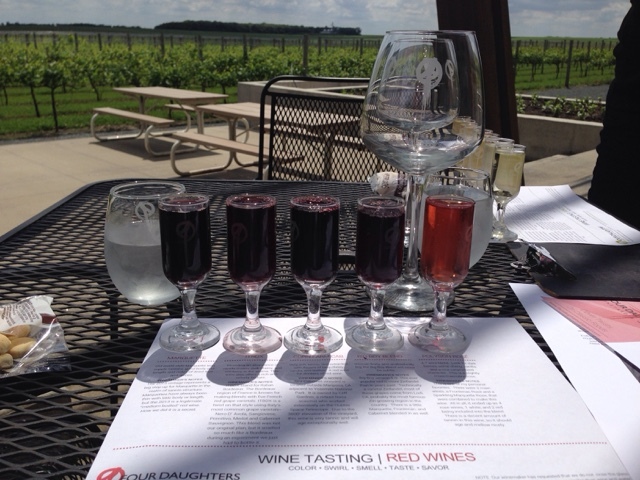 On our way home today we stopped at the Four Daughters Winery and Vineyard right outside of Stewartville. Wow. Can't believe I've driven past this place for years. It was a lovely day, cloudy with still a good amount of sunshine peeking through and we chose to sit outside on the patio for that reason. We each ordered a flight of their wine, a good deal at $5 for 5 wines. My husband ordered white and I the red. After looking over the menu we decided to order lunch as well. He had the pork pancakes with eggs and I had the guacamole served with chips. It was all delicious. I scraped the bowl and ate all the chips. His plate was even cleaner than mine. The wines were good and overall we prefered three of his whites over any of the reds. Now I've got to fit in some extra yoga tomorrow after all this delicious food. Tomorrow we head to a family party and I'm bringing the best margaritas!